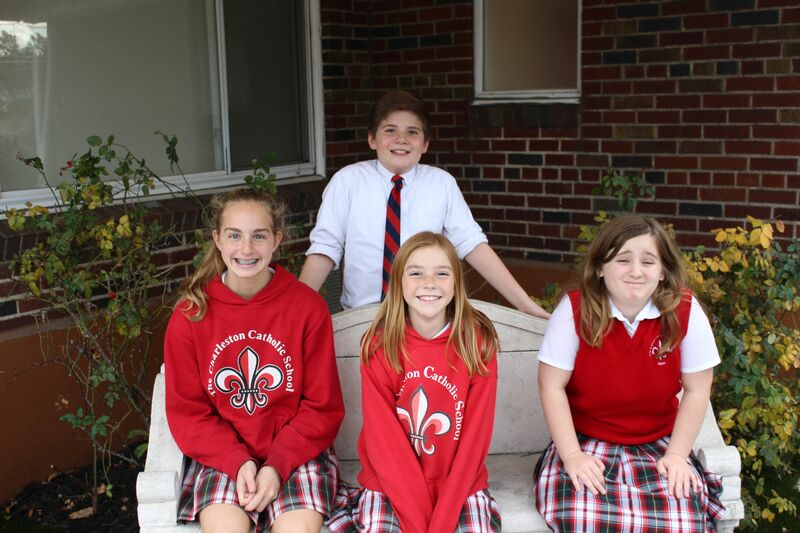 The main topics of study in 7th grade religion are the New Testament during the first semester and Prayer and the Sacraments during the second semester. The course also follows the liturgical year; reviewing the Sunday gospel each week and attending to Feasts, Solemnities and Memorials in the Church year. Students will completecomplete two units from their textbooks each quarter. They will also read two novels each quarter, one as a class, and one individually. Also, the teacher will provide supplementary readings to the textbooks and the students will do their own research. This will require them to gather many sources and analyze them for a major project. The students will cover 3-4 vocabulary units each quarter. They will write an essay for each example of writing covered in the textbook. They will have rough drafts and have to learn how to revise them. They will also be quizzed on the tools of writing and grammar. Their semester exams will be essays. They will also have journals. They will have one major research paper that will be collected the final day of class. Mathematics skills are important tools that your child will use throughout his or her life. These skills encompass more than just the computation of numbers. To build student’s strength in the use of mathematical processes, instruction in these areas will be incorporated.